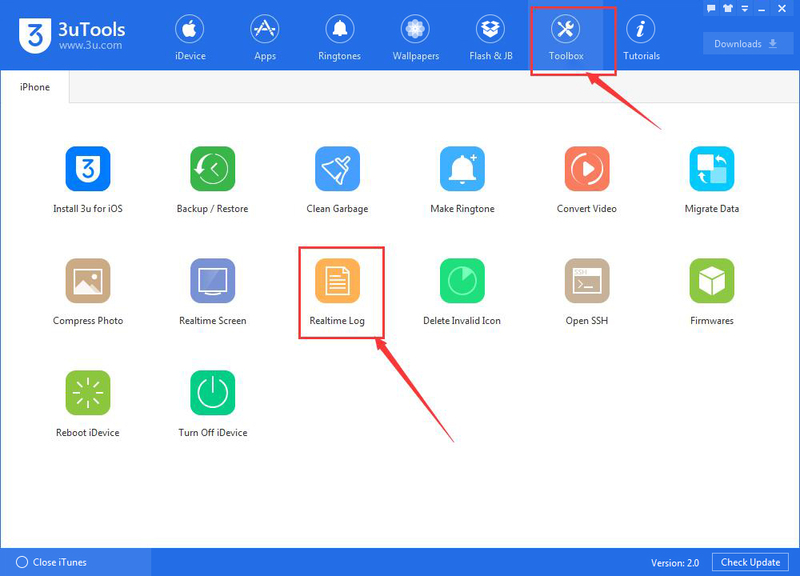 tutorial|How to View the Realtime Log of Your iDevice Using 3uTools? 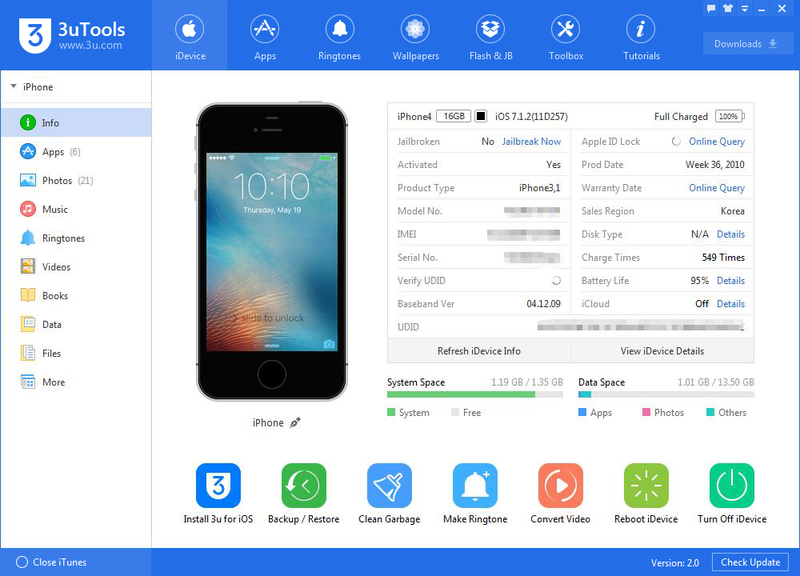 How to View the Realtime Log of Your iDevice Using 3uTools? 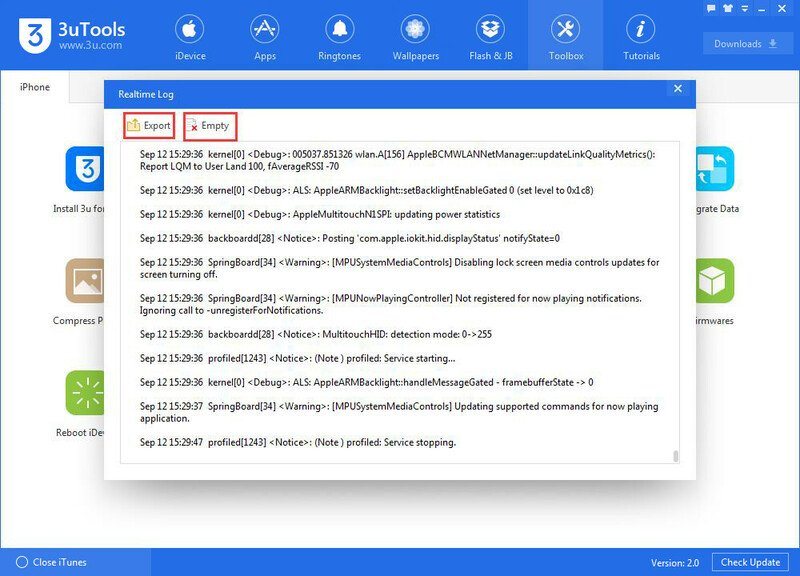 The tool "Realtime Log" can record all the operations and behaviors on the iPhone. How to view my iPhone's realtime log using 3uTools? Step2: Click "Toolbox"→ click "Realtime log". Step3: As shown in the following picture, this is the realtime log of your iPhone. It records all your operations and behaviors on your iPhone. You can export or delete the contents by clicking "Export" and "Empty".